Slashsquare also runs as a Web Consulting Media and we provide various services to make web a better place. Slashsquare services includes the following. Search Engine Optimization or more commonly known as “SEO” is the process of affecting the visibility of a website or a blog in a search engine’s (that includes websites like Google, Yahoo!, Bing, etc.) “natural” or “organic” (free) search results. In short, it means getting organic/natural/free traffic (visits/views) from search engines. And yes, it’s complicated unless you play it well. It’s more like gambling I would say, you can either run it smooth or get banned. 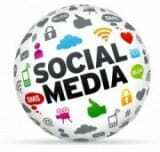 We make sure your social media profiles/networks are optimized to leverage more traffic and followers. We also teach you how to invest few bucks and make the most out of it via advertisements. We will guide you to make your content viral with the help of Social Media. We will bridge the gap between your blog and your social media profiles. A Brand could be almost anything, it could be a symbol, a term or even a design. Branding is nothing but a process of creating a unique name or look for your product or service or even sometimes yourself. There are several types of branding, each have their own benefits and values. Without Branding your Business is yet another fish in the sea or more like a drop in the ocean. Here we focus on Corporate Branding, Personal Branding, Individual branding, Internet Branding and Rebranding. Want to migrate from Blogger.com? Migrate from Tumblr.com? Or you are starting from the scratch? We’ll help you to setup your blog/website and make it look professional. We are not experts but we know to do things experts do. We’ll take care of your Domain Registration, Web Hosting, CMS installation, etc and give you access to your complete website/blog and we’ll also teach you how to manage their features. We’ll help you to create / market valuable quality posts and make them reach your target audience. Content Marketing is nothing but the technique of creating and sharing of media and publishing content in order to acquire customers.